​​Caution: These are very tasty. Be careful about portion size. Start with a half if you have not built up tolerance, and no more than a single cookie if you are pretty confident of your tolerance. It's not that they are unusually strong, but they are so good it is hard to stop with just a half or a single cookie. Remember, they are tasty medicine, not a bedtime snack. 1. In a medium bowl, stir together the melted butter, 1 cup sugar, and egg until smooth. Mix in the molasses. Combine the flour, baking soda, salt, cinnamon, cloves, and ginger; blend into the molasses mixture. Now’s the time to add the optional ingredients, too. 2. Cover, and chill dough for 1 hour or overnight. 3. Preheat oven to 375 degrees. Roll dough into walnut-sized balls, and roll them in white sugar. Place cookies 2 inches apart on ungreased baking sheets lined with parchment paper. 4. Bake for 8 to 10 minutes, until tops are cracked. 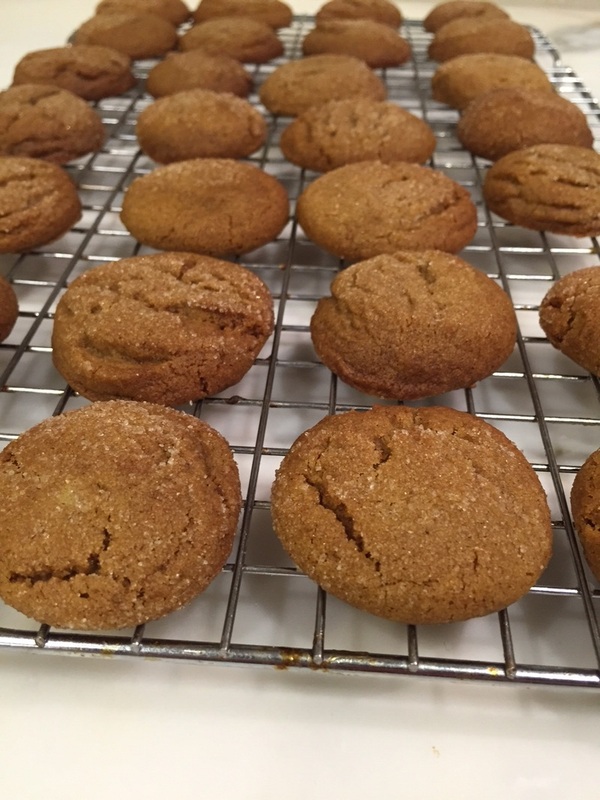 Be careful not to over bake — they should be a bit softer than ginger snaps. Cool on wire racks. After some adventures with erratic cookie sizes/doses, I went to Sur La Table and got a small (2 ¼ teaspoon) spring-loaded scoop to make uniform balls. Much better!